To raise awareness of The Old Crown and establish chef David Gillan as a personality. The Old Crown has a splendid restaurant with a 75 cover capacity. Utilising its atmosphere and looking to recoup the £1.7M expenditure that the restoration had cost, it was essential that the restaurant immediately attracted a sufficient volume of customers and that the venue became viable. Metropolis 2 set out to launch the venue to the people of Birmingham, attracting sufficient diners of the right profile to build on the extensive press coverage and encourage "The Old Crown" and its food into becoming a popular topic of conversation throughout the people of greater Birmingham. It was decided that to supplement the public awareness of this famous venue we must ensure that the public thought of the venue not just as a pub but also as a destination for one of Birmingham's best Restaurants. 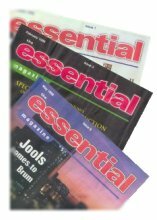 To build on the success of the radio campaign we negotiated with one of Birmingham's premier free entertainment and event magazines "Essential Entertainment" to provide a chef's column written by David Gillan. 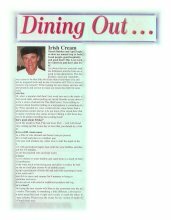 The column featured recipes and social comment and featured not only his photo in each edition but also a strong strap line informing readers of The Old Crown, its location and reservation details. With David producing the data M2's in-house copy team turned it into a popular column which scored highly on all reader surveys carried out by the publishers. In fact, such was the success of the column that not only was it regularly quoted by visitors but also received a healthy mail bag of recipe queries and correspondence regarding some of the more contentious issues discussed in the column, such as French ban on British Beef etc. This column continued for some 14 months until David Left The Old Crown to open his own successful restaurant in Derby.